i've been having a blast getting ready for the holidays and working on christmas cards but i'm not quite ready to let go of fall. 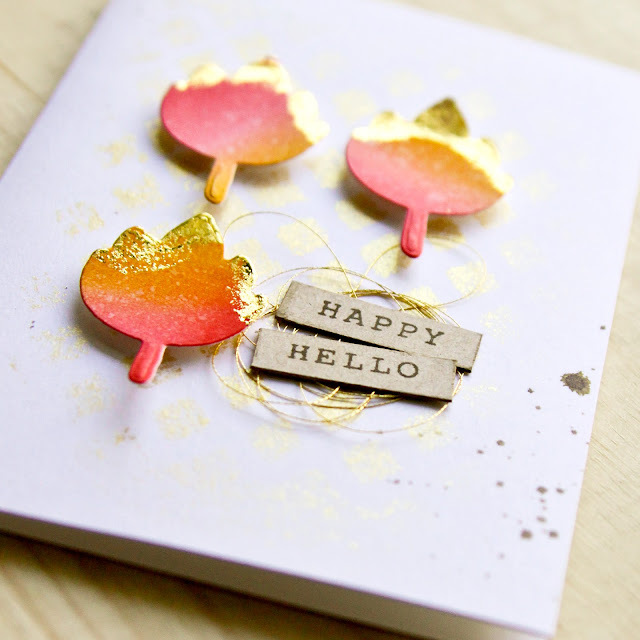 i thought it would be fun to make a few more "leafy" cards, especially while we are we are watching the leaves blow around in the windy pnw right now. -i started with a 3-1/2 x 5 card and placed the diamond stencil from the studio calico brighton pier mask set over the card before spraying with gold ink spray (i really like the heidi swapp gold lame). 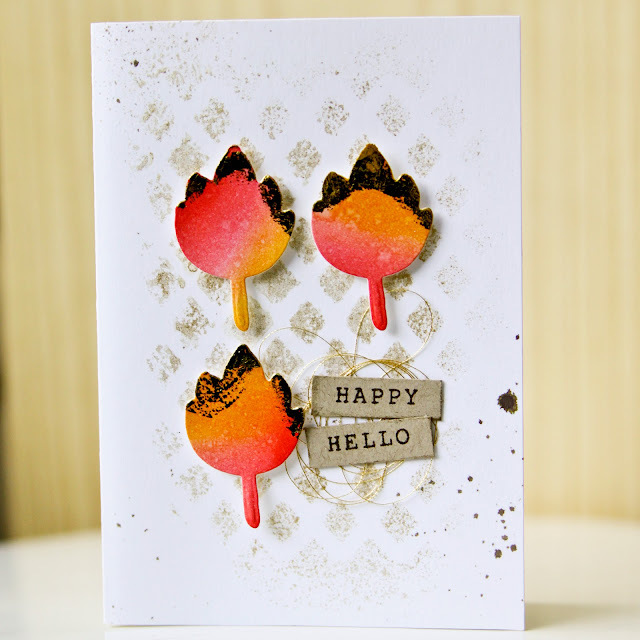 -next i did some ink blending with distress inks abandoned coral & spiced marmalade, on some smooth bristol cardstock. smooth birstol is my favorite for ink blending, it is so easy and blends so well! 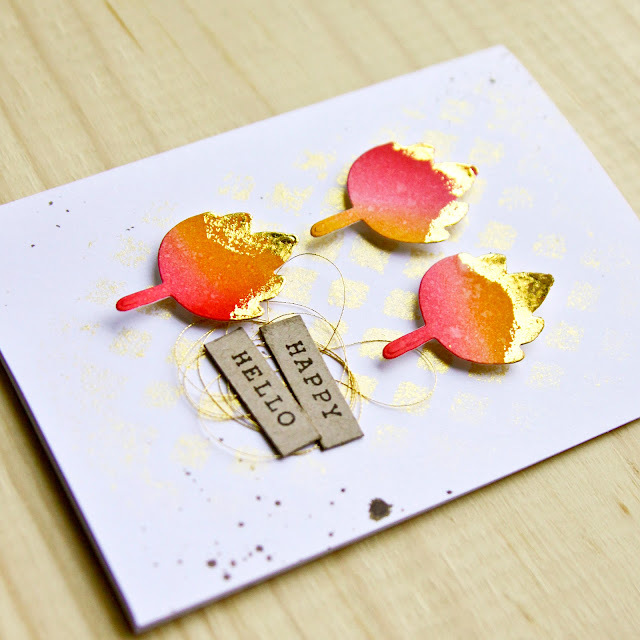 -after my blended ink was dry, i die cut leaves from the essential by ellen thankful set and applied a little cosmic shimmer glue to the tips (duo embellishing adhesive would work great too). i let the glue set for a moment and then applied gold transfer foil. when the leaves were done, i foam mounted them to my card front. -i stamped "happy" & "hello" from the mama elephant happy everything set in distress ink ground espresso on kraft cardstock and cut them into little "label" strips. -i mounted the sentiment strips the the card on top of a little nest of gold thread. -finally i added a little distress ink ground espresso splatter and ta-da!